The final sales are when you can pick up that dreamy piece that was prohibitively expensive at full price. I found this Valentino dress on final sale at Neiman Marcus last December and it’s one of my favorites. 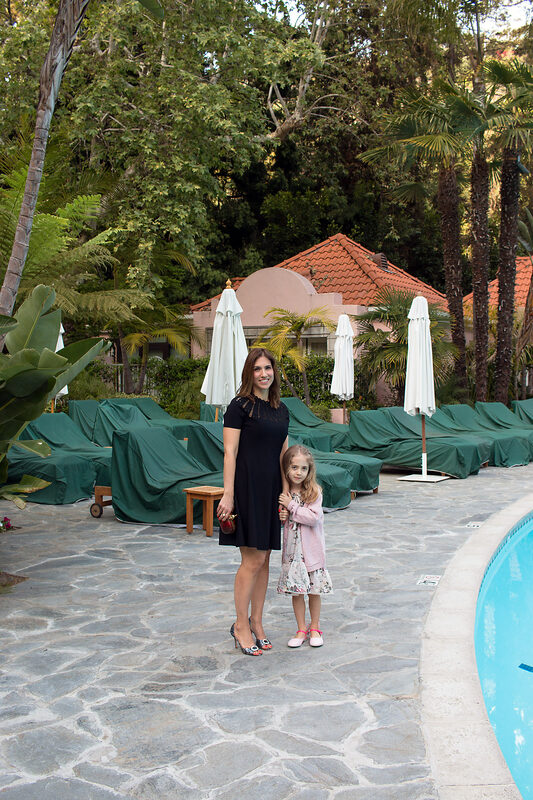 I wear it constantly, with boots in the winter and with sandals (pictured) in the spring (at the Hotel Bel-Air, my absolute favorite place to stay in Los Angeles). I’m praying the black polka dot dress below comes back in my size and the floral Dolce & Gabbana ones are always pretty. And I can’t believe the bags that have been going on sale this season. Lots of good stuff. Here are all my picks from the final sales.